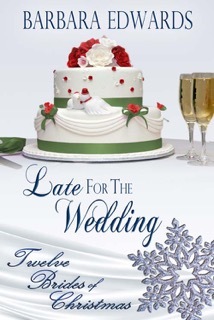 Please welcome our Day 2 Bride’s author, Barbara Edwards talking about her sweet romance, LATE FOR THE WEDDING! Stranded by the storm, she needs his help or she’ll be late for the wedding. She promised to make the wedding perfect, but fate steps in with a less than perfect man. During the last Nor’easter, we were cut off for six days by the snow. It gave me the idea for Late for the Wedding. She strained to see past the broken windshield. Her throat hurt when she swallowed. Other vehicles lay tangled in a mess, not just the truck and her car. She prayed another car wouldn’t hit her again and inhaled to calm her racing pulse. She finally got the seatbelt lock to release, forced her door open and stood. Her knees shook and she had to hang onto the sagging door for support. She stared around. Headlights glittered like monster eyes. Her vehicle was at the edge of a horrendous multi-car pile-up. Sirens wailed like lost children. Blinding red and blue lights flashed everywhere as emergency personnel rushed by. Her hands shook as she dragged on her cashmere coat. Time squeezed and expanded like an accordion being played. A fireman asked if she was okay and ran on at her nod. She brushed moisture from her face and realized she was crying. She pillowed her head on her arm, the roof supporting her as she wept. “Hey, lady, you okay?” A gentle hand gripped her shoulder. This time the questioner stopped to listen. She looked up into scorching blue eyes so bright they could have been a propane flame. Her skin warmed and her pulse leaped as if it recognized the message in them. They promised heat and comfort and strength like the hand on her shoulder. He’d pulled his knit hat down over his forehead and his lower face was covered with dark stubble that matched his thick black eyelashes. His hands were splotched with grease and he smelled like oil and fuel fumes. His quilted jacket was stained and patched, his boots wet and cracked, but he exuded strength and caring. She swallowed. Her mouth was suddenly dry. Another fixer-upper, like her ex, she briefly thought, although with those gorgeous eyes he might be worth the trouble. Want to buy LATE FOR THE WEDDING? Click on a link! AMAZON | WILD ROSE PRESS for any format. Want to know more about Barbara? 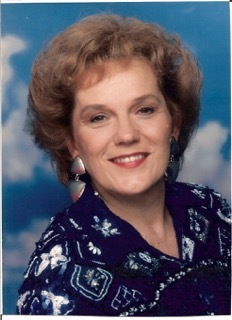 I lived in Florida for several years and am past president of the Central Florida Romance Writers and a member of Romance Writers of America. When I returned to Connecticut, I founded the Charter Oak Romance Writers, a Chapter of Romance Writers of America, along with several close friends. My husband is a retired Police Sergeant. We share an interest Civil War re-enacting and travel the Eastern states to participate in events. I love visiting museums, galleries and battle sites, gathering information for my stories. I taught Romance Writing at Manchester Community college for three years. I’m fond of gardening and growing antique roses with limited success. Most of my exercise is when my Belgian Shepherd, Dixie, demands a walk. This entry was posted in Books, Writing Life and tagged books, guest blogging, new release, Twelve Brides of Christmas, Wild Rose Press. Bookmark the permalink.